Please click here to buy the book on Amazon. Successful Strokes, a Realistic Guide to Creating a Lucrative Massage Business shares my personal story of setting up my massage practice and learning about business through trial and error with over 30 years of experience. The book is written in a very informal, friendly style sharing marketing tips and strategies, how to set up and manage finances, good uses of down time, how to structure a workable schedule and discuss many of the unique situations that arise in this career. Everyone’s story is a little different and there’s a lot to be learned by seeing many different ways to approach this career so each person can find the path that works best for them. 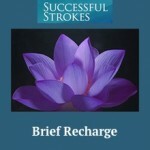 Please sign up for my newsletter a nd I’ll send you a free relaxation recording called “Brief Recharge”. This is an 8 minute guided relaxation designed to help you recharge between clients. Often we know we “should” meditate or relax more but we just don’t take the time do it. This will really help. And hey, it’s only 8 minutes (but 8 very blissful minutes). and please put molly(at)successfulstrokes(dot)com in your contacts so my emails don’t go to your spam folder. Thanks! A very thorough and detailed book that can assist any holistic healthcare practitioner in their private practice. Thank you, Ms. Kurland, for sharing your experience and expertise. Starting up your own practice? Get this book! How to pick the right location, features and amenities for your new massage practice. Regular customers are the core of your business. How to build a relationship with a client that will keep them coming back for more. First impressions are critical. How to decorate your office and how to behave to make the most impact on greeting. Marketing your business is crucial – here’s how to do it effectively without breaking the bank. This is a must read book for anyone entering the Massage Profession or already engaged in it. It is the most thorough guide to every aspect possibly encountered in this business, with much detail, honesty, expertise and humor. As a long time massage practitioner myself I still had much to gain from the intelligence, experience and wisdom expressed in her book. I have made a 20 minute recording to help you become successful from the inside out. What I mean is that by letting my words guide you deeply inside yourself and imagining the details of your successful practice you will develop the attitude and feelings of a successful massage therapist. This becomes part of the personality that you project. It affects the decisions you make. It affects the way you treat your clients and the way you treat yourself. You know from other times in your life, when you were in just the right frame of mind, how easily and smoothly you were able to achieve the things you set out to do. Some people refer to this as “being on a roll’. In my book, Successful Strokes, I give you lots of things you can do to build your practice, to market yourself, to let people know you’re there, to form alliances with other business people and members of your community. In addition to doing all the right things it’s just as important to get in the right mood. It all works together. This is how the recording works. It helps you feel ready. It helps you trust your gut. I particularly enjoyed the friendly and approachable tone that Molly takes in her writing. You really feel like she cares about you and making your business successful. 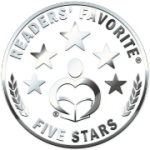 Her knowledge and accessibility make her a great author, particularly for the self-help variety of books. Successful Strokes offers insightful tips and tricks that a seasoned veteran of the massage business has learned along her own journey. Would you like some personal attention? Would you like help planning your strategy for your successful practice? Would you like someone who can work with you and bring out the best in you? Someone with whom you can check in at regular intervals to make sure you stay on track? I can help you assess your strengths and figure out the best way to create your business in your own style in a way that feels right and natural to you. If you don’t want to go it alone contact me for help. We can work via Skype or on the phone. Use the contact icon in the bottom right to talk about scheduling your session.